The above info came from Yayoi-san, and was edited by yours truly (contact me). The image came from Amazon. "At Miyagami High School, there is a group of beautiful maidens with more power than the staff members. 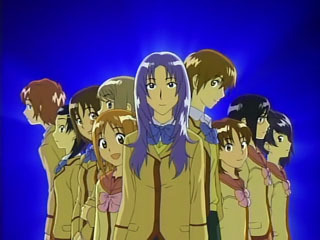 Miyagami Gakuen - Maximum Authority Holders - Highest-level Student Council. Also known as... Gokujou Seitokai." Rino Randou is a down-on-her-luck, ditsy girl with no parents and a puppet named Pucchan as her best friend. She has a mysterious pen pal named Mr. Poppit who invites Rino to come to the town Miyagami and it' school. But, when Rino arrives there is no Mr. Poppit and the apartment she was to stay in, was burned down. When Rino made her way to Miyagami High School she met Ayumu Ohme who suggests she join the Best Student Council so she can live their dorms. 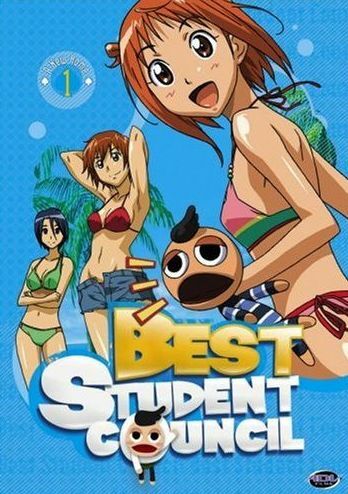 Through a series of events and with the approval of the president of the Student Council Kanade (and some help from Pucchan) Rino finds herself joining the Best Student Council and all their zany and interesting adventures through daily life and school. The above description came from Yayoi-san, and was edited by yours truly (contact me).